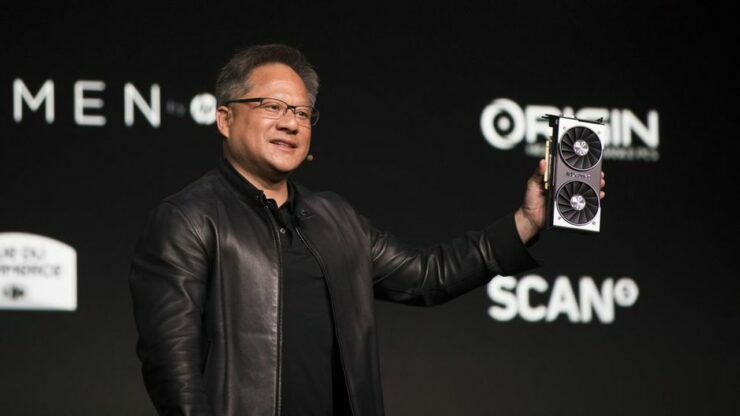 NVIDIA CEO Jensen Huang, just like his counterpart Lisa Su (CEO of AMD), joined the press for a roundtable Q&A at CES 2019 after revealing the RTX 2060 during the press conference. GamesBeat has the full transcript, a massive wall of text group interview. Huang talked about everything from cryptocurrencies to 5G and autopilot cars, but he also provided an update on the GeForce Now cloud-based game streaming service that is currently in free beta. The NVIDIA CEO said it’s doing great and it will grow the market, but it can never really replace PC as a platform due to the inherent lightspeed limitations. It’s fantastic. We have hundreds of thousands of concurrent users. Our strategy is ongoing. First of all, if your question is, “How long before streaming can be as good as a PC?” the answer is never. The reason for that is because there’s one problem we haven’t figured out how to solve, and that’s the speed of light. When you’re playing esports, you need the response in a few milliseconds, not a few hundred milliseconds. It’s a fundamental problem. It’s just the laws of physics. The NVIDIA CEO then briefly touched upon the Shield console. Huang said he doesn’t believe there’s a need for a new portable Shield currently, especially since the Tegra-powered Nintendo Switch already fills that niche. As you know, Shield TV is still unquestionably the best Android TV the world makes. We’ve updated the software now over 30 times. People are blown away by how much we continue to enhance it. There are more enhancements coming. We’re committed to it. Only if the world needs it, or if the customer is underserved. At the moment I just don’t see it. When we first built it — I still have the original Shield portable. Every so often I pick it up and I think, “The world needs this.” But I don’t think so. Maybe not yet. I think Nintendo’s done such a great job. It’s hard to imagine doing that. I love what they did with it. The NVIDIA CEO didn’t completely shut the door for a future NVIDIA Shield iteration, though. Would you like to see that at some point?